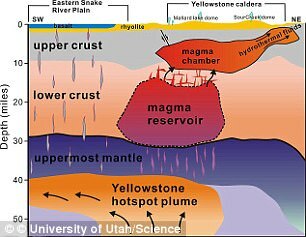 Fears of the supervolcano lurking at the heart of Yellowstone National Park have long lingered in the backs of many Americans’ minds. It’s been nearly 650,000 years since the last giant eruption, and predicting when the next will occur is a complex feat that continues to elude scientists. 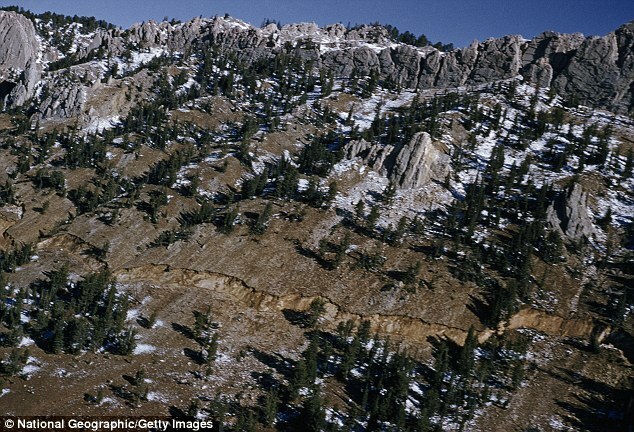 Despite all the attention directed toward the supervolcano, experts monitoring activity at the park around the clock say it isn’t an eruption we should be immediately concerned about – it’s earthquakes. The seismically active region produces up to 2,500 small earthquakes a year on average, and scientists say it’s only a matter of time before it’s rocked by a much larger magnitude 7 event. 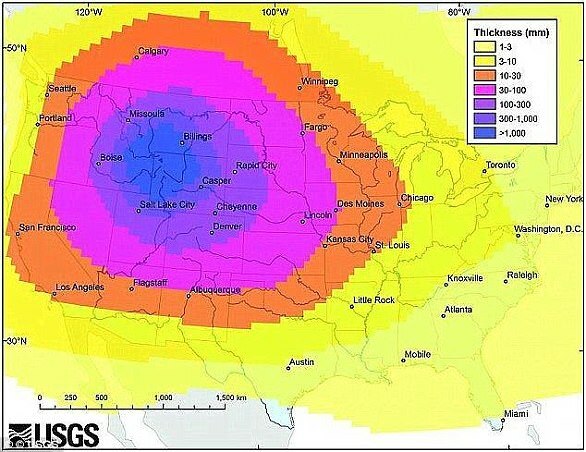 ‘The biggest concern we have for Yellowstone is not with the volcano, it’s with the earthquakes,’ Michael Poland, scientist-in-charge at the Yellowstone Volcano Observatory, told USA Today. 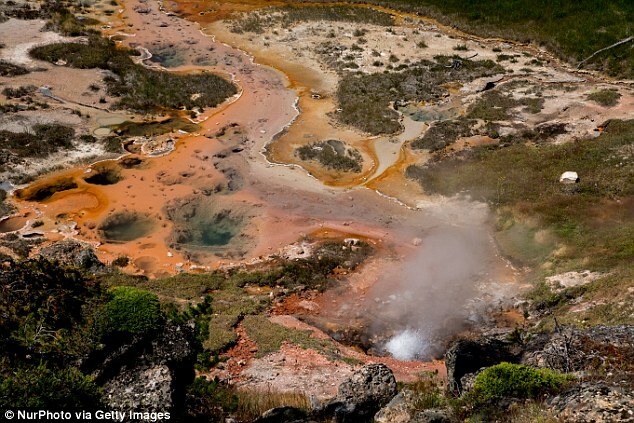 The chances of a major volcanic eruption at Yellowstone are currently considered to be quite low; based on knowledge of three explosive eruptions in the past 2.1 million years, at an interval of about 600,000 to 800,000 years, scientists estimate the yearly probability of another major event to be about 1 in 730,000. Smaller lava flows have sprung up in the time between, with the last occurring about 70,000 years ago,USGS explains. Large earthquakes, on the other hand, are far more common. A magnitude 7.3 earthquake hit the park just 59 years ago on August 17, 1959, spurring a landslide that resulted in 28 deaths. 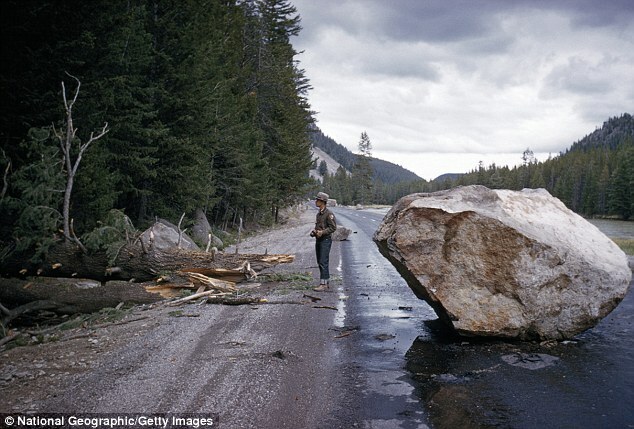 The event shook so many rocks loose – more than 80 million tons, experts estimate – that the debris blocked a river and created an entirely new lake, dubbed Earthquake Lake, according to USA Today. Another quake of this magnitude is likely to occur in the foreseeable future. And when it does, it will strike by surprise. ‘That’s something that happens on a human life scale,’ Poland told USA Today. Compared to the quake that happened in the late 1950s, a magnitude 7 event at the park today would be far more catastrophic. Millions of people now visit the park each year, with human presence booming during the summer months. 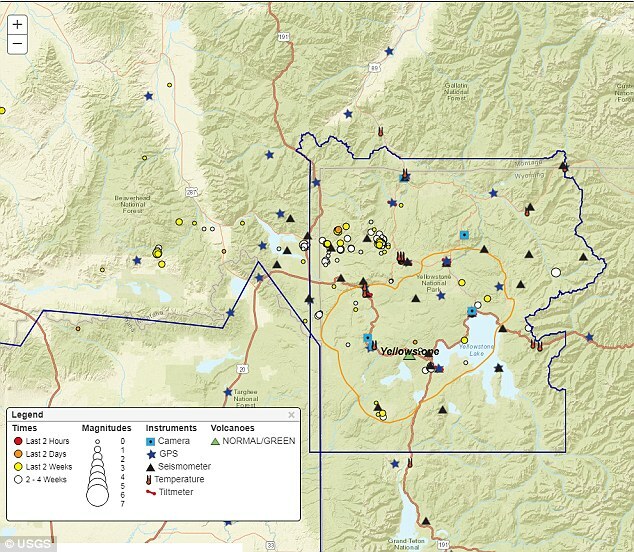 Scientists are continually monitoring Yellowstone for any signs that a hazard may be brewing, with live maps from multiple observatories showing where and how big each tremor is as it hits, paying particular attention to earthquake swarms. For now, the region remains at its normal alert level for both volcanic activity and seismicity, with earthquake activity said to be at background levels as of the most recent USGS update.